A blowback-operated, selective fire submachine gun that uses an open bolt system and looks very similar to the UZI. Need MPI-69 parts? 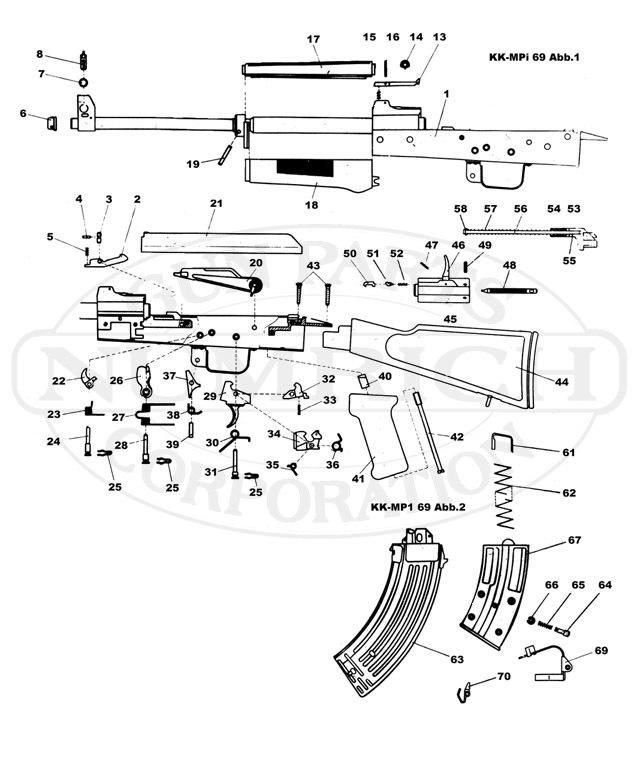 Numrich Gun Parts Corporation offers the largest selection and best prices for hard to find MPI-69 parts. Shop our selection today!